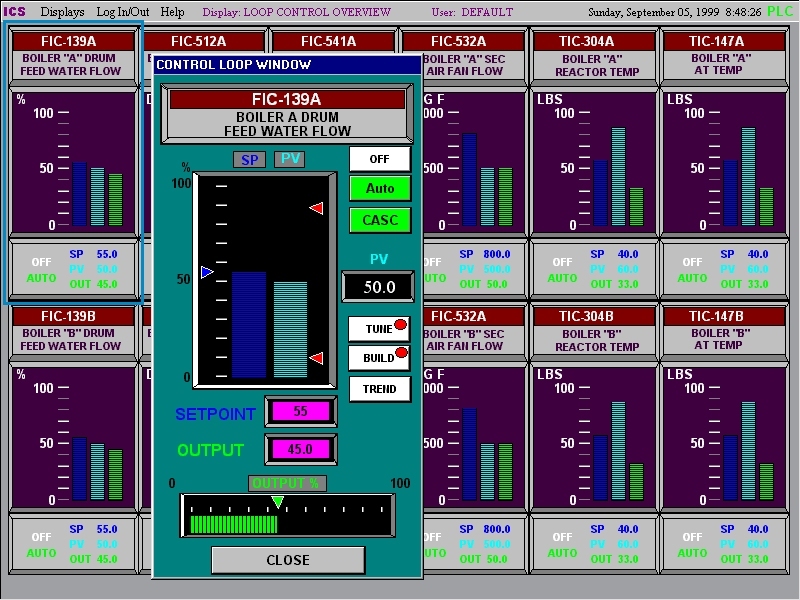 I & C Systems Engineering (ICS) has been developing industrial HMI/SCADA applications for over 13 years. ICS designs interfaces that closely resemble your real world process to give you a more complete picture of what is going on. In this day and age, decisions based on up to date information is critical. More and more information is being stored electronically and ICS is capable of tapping into this data and integrate it with our clients control systems. As data is added or updated in a database or spreadsheet, PLC’s and HMI’s are automatically updated. This also works in the reverse direction, allowing the entire system to stay current simultaneously. Our applications have ranged from OEM machine controls, to facility alarm monitoring, to card access security, to complicated recipe management of over 10,000 recipes in a paper coating color room. Click here for a more inclusive list of all the Hardware and Software with which ICS is experienced.